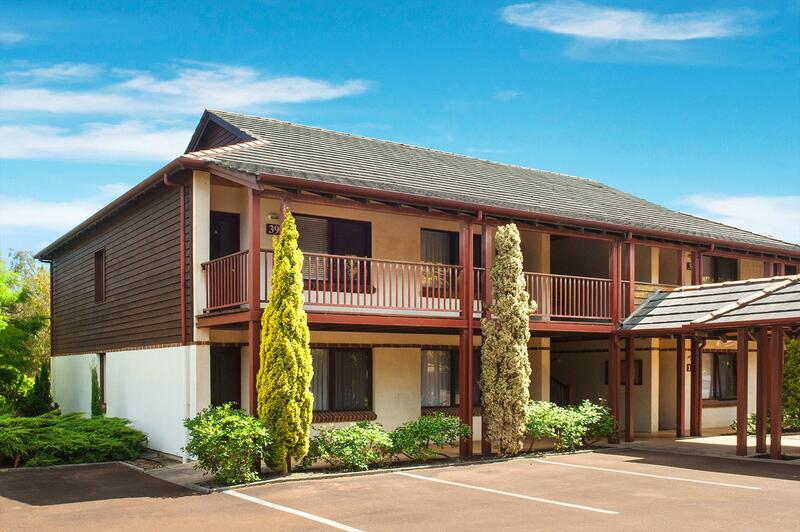 Privately owned apartment located at the Margaret River Resort and within walking distance to the bustling main street of Margaret River is this well designed spa suite. Enjoy a glass of wine on the balcony after you have spent the day exploring the stunning Margaret River Region. The spa suite located on the 1st floor is a one bedroom apartment with a queen bed and a sofa bed in the lounge, sleeps a maximum of 4 people. Had to place kettle and toaster on floor as leads would not reach bench. Needs GPO placed at bench. At the end of Margaret River town heading south turn right onto Wallcliffe Road - the Margaret River Resort is approximately 500m on your right. The apartment is located at the rear of the resort. If cancellation is incurred less than 7 days before the booking a fee equal to 1 nights accommodation will be non refundable. If a Peak season booking is cancelled less than 21 days before the booking a 50% amount will be non refundable. No checkouts checkins- Xmas day Boxing Day and New Years Day.